Ever been curious about how it would feel entering the most famous wizard bank and seeing the most fabulous riches hidden in its vaults? Now you can! Tickets for Warner Bros. 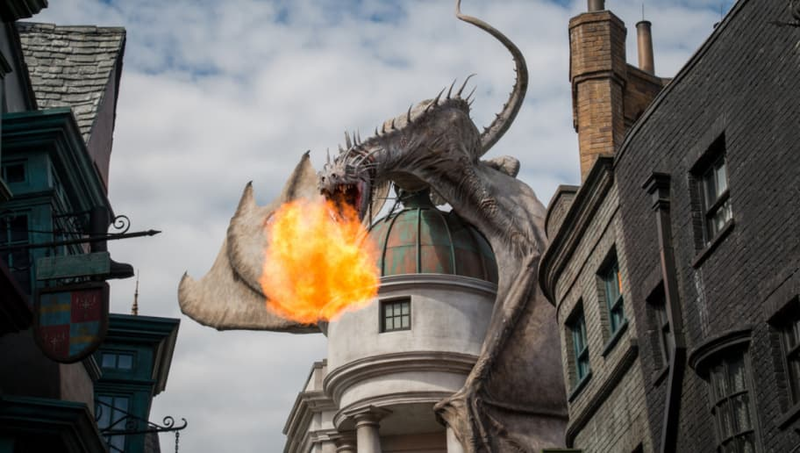 Studio Tour London – The Making of Harry Potter are about to get even harder to purchase now that the tour has announced it will expand to fit the famous Gringotts Bank. The tour already has most of the costumes worn by Daniel Radcliffe, Emma Watson, and Rupert Grint, props from all the movies, and the full sets of the Great Hall and the Forbidden Forest. Now, the tour will include the 16,500 square foot set of the Gringotts Wizarding Bank, complete with glass chandeliers and the vaults of some of the most famous wizards. Tourists will be able to see the rows of goblin desks and about 210,000 coins made for both Deathly Hallows movies alone. Fans will also be able to enter Bellatrix Lestrange’s vault where they can see two Horcruxes: the sword of Gryffindor and Helga Hufflepuff’s cup. Even the goblin prosthetics will be showcased, including all that Warwick Davis wore as Griphook. Along with exploring the Gryffindor common room, taking a stroll down Diagon Alley, and riding on the Hogwarts Express, you can now enter the most famous bank in the Potterverse. It officially opens on April 6, 2019.